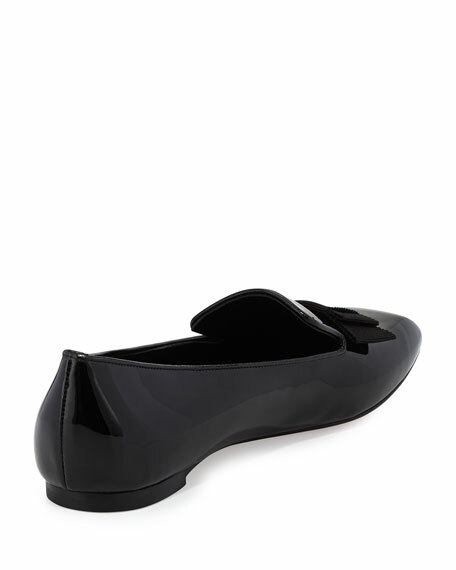 Alexander McQueen patent leather smoking slipper. 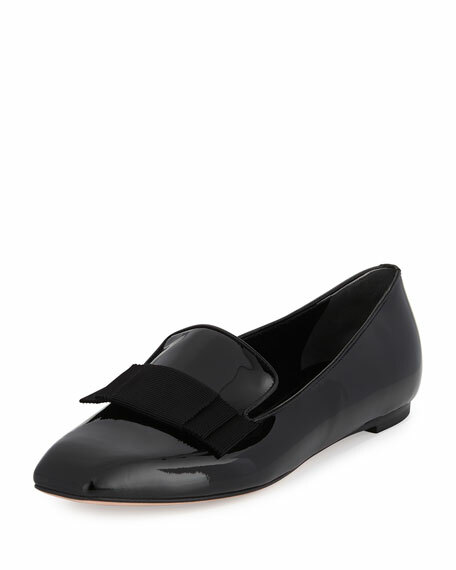 Grosgrain doubled bow details notched vamp. 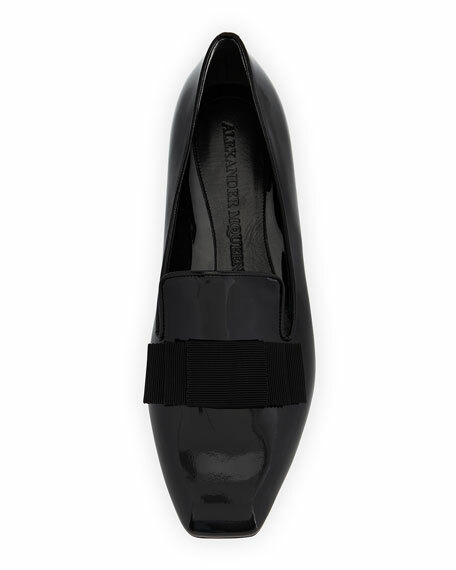 Lightly padded leather insole; smooth outsole.